Freshman Illustration major Jake Morse received accolades for a thought-provoking take on what happened at Ford’s Theatre. It was an assignment he worked on over President’s Day. 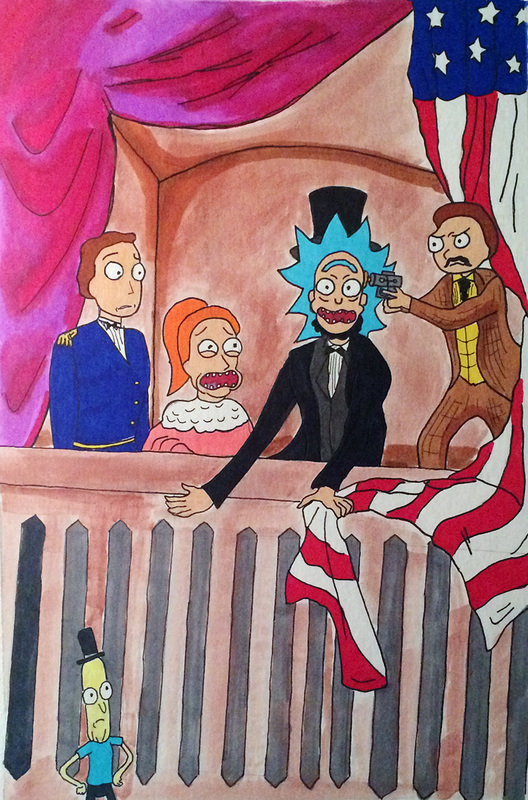 This entry was posted in student work and tagged Abraham Lincoln, Anthony Freda, Ford's Theatre, Illustration major, Jake Morse, Justin Roiland, Rick and Morty. Bookmark the permalink.